(Newtown, PA– February 1, 2019) – CenTrak, the leading provider of Enterprise Locating and Sensing Services for healthcare, announced today that it has been named 2019 Real-Time Location Systems (RTLS) Category Leader for the third consecutive year by KLAS Research, a healthcare IT data and insights company. As Category Leader, CenTrak received the highest performance score of all ranked RTLS vendors*. “Category Leaders are committed to providing the very best technology, service, and guidance to providers and payers. The Category Leader award carries with it the voice of thousands of providers and payers, highlighting outstanding vendors who have raised the bar.” said KLAS President Adam Gale. KLAS researchers collect feedback from more than 30,000 health systems and payers from the US and other countries to generate honest and impartial assessments on the performance of software, service and medical equipment vendors in the industry. In the 2019 report, KLAS added performance indicators to help provide better context and transparency of product performance. KLAS scores are weighted in Culture, Operations, Product, Relationship, Value and Loyalty. The grades associated with each category serve to provide better context on how each software or service is performing compared to all other software or services. Vendors with the Category Leader designation stand out for helping healthcare organizations deliver quality patient care. *2019 Best in KLAS: Software and Services, January 2019, www.KLASresearch.com, © 2019 KLAS Enterprises, LLC. All rights reserved. CenTrak improves healthcare operational efficiency and the quality of patient care via the industry’s most robust and scalable Enterprise Locating and Sensing Services™ offering. 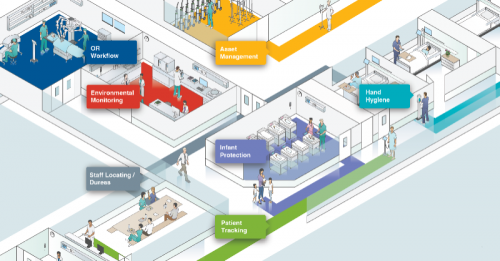 Ranked #1 as the 2019 KLAS Category Leader for Real-Time Location Systems (RTLS), CenTrak’s technology supports high velocity updates and sub-room level accuracy across the entire healthcare enterprise. In its mission to transform patient care, CenTrak helps world-class healthcare facilities increase productivity, streamline workflows, drive higher patient and staff satisfaction and reduce costs. For more information, visit CenTrak.com.